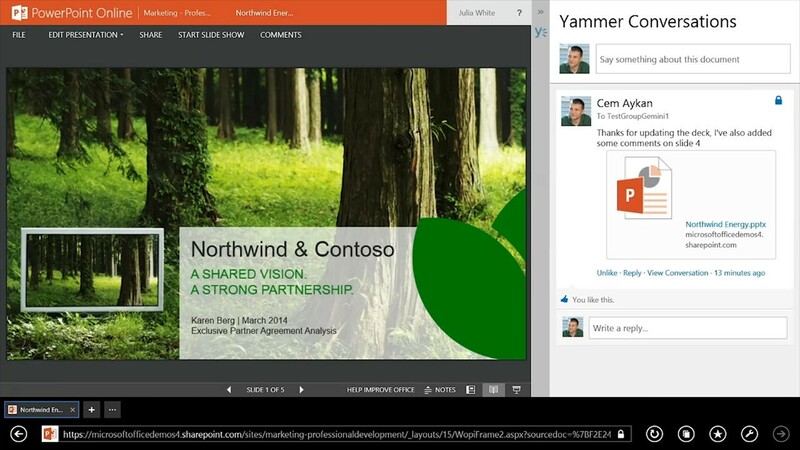 In today’s One-Minute Wednesday, we’re going to look into Office Delve within Office 365. Delve is a file management app that gathers and displays relevant content that you and team members have created and shared. When you open Delve, you’re introduced to a variety of files and documents with a card-based interface. 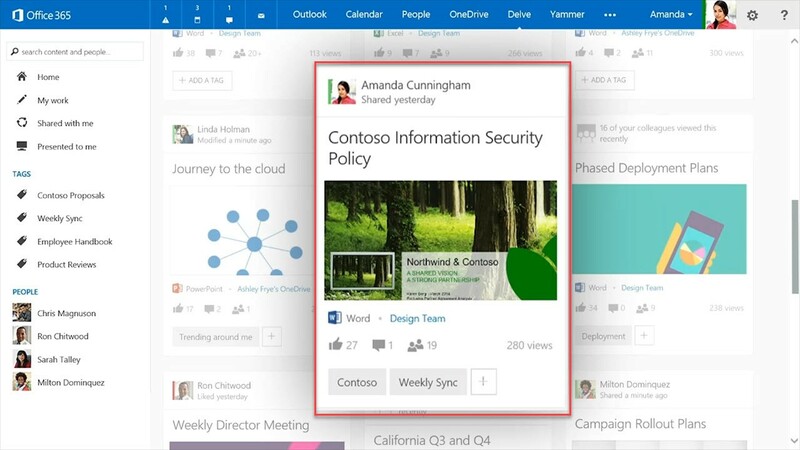 Each card represents a file created and shared by either you or another contact within the Office 365 cloud. Delve works to cut through clutter to display the documents and files that it thinks are most relevant to you. To start interacting with these files, just click one of the files on the homepage or use the search bar. This instantly opens your selected document or attachment within it’s native application. This means presentations from PowerPoint will open in PowerPoint; documents originating in Word will open in Word, and so on. 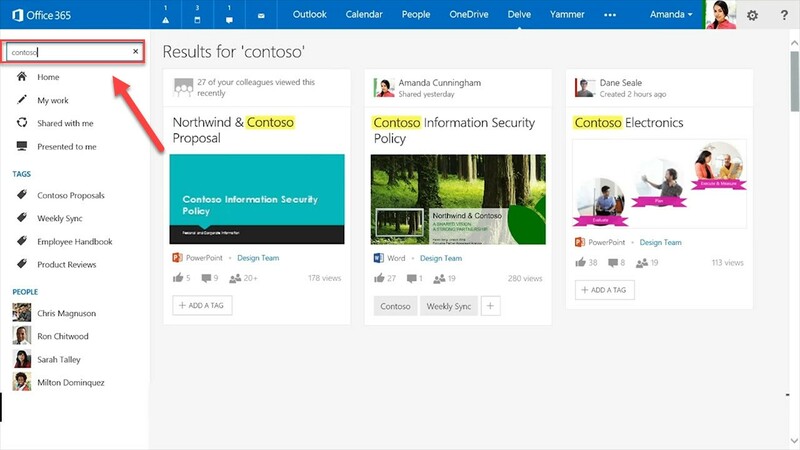 Delve also has a search feature that lets you quickly find files across any Office app. 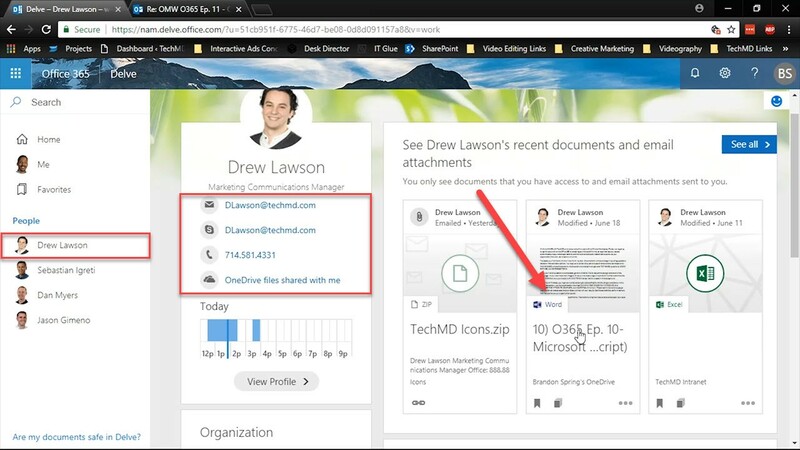 You can also access files through the User profiles within Delve. Here, you’ll learn more about a contact, such as current projects they’re working on, contact info and more. User profiles are also an easy way to grab content you need from specific people, without the hassle of sifting through folders or emails to get what you need. 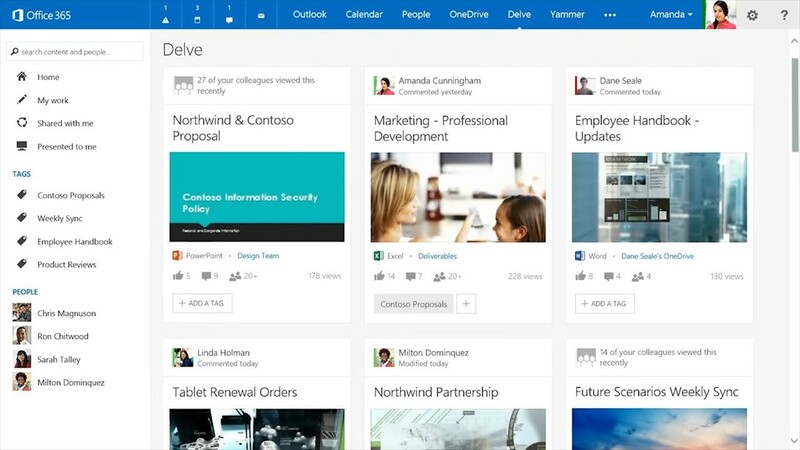 So that’s a quick tour of Office Delve and how it can help you get to the content you need most. Thanks for joining us and come back next week for more!